Field To Fork joined our Mission to help provide access to “Clean Water for All by 2030”. This Mission was initiated by the United Nations. 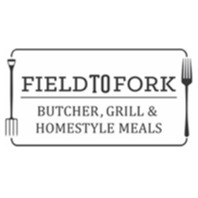 A big thank you to Field To Fork’s team and customers for joining this extremely important mission on 13 March 2018. At Field to Fork, we're passionate about delivering fresh, grass-fed, free range products direct from the farm to Bondi daily. We are committed to sustainable and ethical farming practices by taking a hands on approach to every step of the process. We make sure that you receive meat that is the direct result of free range animals that have been cared for, handled in a low stress facility and processed humanely. We want you to know where your food is coming from, which is why we have a direct relationship with our graziers and source locally to reduce our impact on the environment. The care we take ensures that the meat you receive from Field to Fork Butcher is nutrient rich, flavoursome, and of the highest quality.